RIM has emerged victorious from its appeal against a $147.2m (£98.2m) fine after a judge overturned a patent infringement verdict. 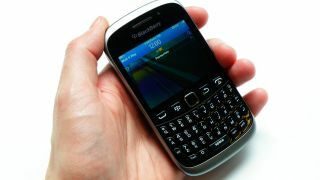 Last month the BlackBerry-maker was hit with the penalty after it was ruled that it had infringed upon Mformation's wireless remote device management technology, an allegation that was made back at 2008. However, that's now been dismissed and RIM now has a nice chunk of change it had probably resigned itself to losing. "We appreciate the Judge's careful consideration of this case. RIM did not infringe on Mformation's patent and we are pleased with this victory," said Steve Zipperstein, RIM's Chief Legal Officer. "The purpose of the patent system is to encourage innovation, but the system is still too often exploited in pursuit of other goals." The initial ruling was seen as another considerable blow to RIM's attempts to keep its head above water. Falling sales, huge stock losses and a lengthy delay to the BlackBerry 10 operating system - now due in January 2013 - has left the company on life support, according to many analysts. The extra $147m in the coffers could at least give RIM enough cash flexibility to fend off predators until the long-awaited BB10 revival attempts.